TORONTO, March 24, 2014 /CNW/ - On March 20, 2014, a total of six (6) provincial regulators announced two main proposals for new Crowdfunding prospectus exemptions that would allow early stage companies such as start-ups and SMEs to raise up to $1.5 million of capital online through the issuance of securities. This represents a significant leap forward and positive progress for Crowdfunding advocates such as the National Crowdfunding Association of Canada (NCFA Canada), who has been working diligently with key industry stakeholders, government, regulators, media, eco-system partners and academia, since launching in October 2012, to provide education, research and valuable input into the developmentof a viable 'made in Canada' framework. "While 2013 was a year of 'awareness and community building' for NCFA Canada, 2014 should prove to be busier than ever. We want to thank all of the Association's founding members, sponsors, directors, advisors, ambassadors, and members for all of their support. We are on the cusp of building something great together - we need your continued support", said Craig Asano, Executive Director of NCFA Canada. The crowdfunding industry is exploding with entrepreneurs, investors, portal operators, third party service providers and experts from around the world who are all jockeying for position to take advantage of a promising and brand new fundraising channel for small to medium sized enterprises (SMEs). The industry continues to grow at a tremendous rate with global crowdfunding markets increasing from $1.5 billion in 2011 to $5.1 billion in 2013, according to US-based Massolution's industry research report. NESTA, a UK charity focused on innovation initiatives predicts that within 5 years crowdfunding could grow to £15 billion pounds in the UK alone. The proposed "Start-up Exemption", which has already been adopted in Saskatchewan (SK) last December 2013, would allow start-ups and SMEs to raise up to $300,000 per 12 month calendar year. Investors can invest up to $1,500 per deal on crowdfunding portals that distribute offerings for up to 90 days online. The Start-up Exemption is based-on the Saskatchewan model and provincial regulators in British Columbia, Manitoba, Quebec, New Brunswick and Nova Scotia are seeking public comments until June 18, 2014. A second proposal is Ontario's version called the 'Crowdfunding Exemption', which has been a collaborative effort between Ontario, Manitoba, Quebec, New Brunswick and Nova Scotia, with the Ontario Securities Commission leading the initiative by setting up a dedicated task force that has conducted a remarkable amount of research, hosted numerous town halls and reached out to various community stakeholders to engage in consultation sessions. The 'Crowdfunding Exemption' has higher caps and limits than the SK model, and would allow start-ups and SMEs to raise up to $1,500,000 per 12 month calendar year with investors being able to invest up to $2,500 per deal and up to $10,000 per year. "The regulators should be commended for their thoughtful and consultative approach. The proposed regulations have some great characteristics and will help propel Canadian early stage companies from the farm team to the big leagues," said Daryl Hatton, CEO/Founder of FundRazr, Canada's leading crowdfunding portal based in B.C. "Crowdfunding powers business growth and is a strong economic generator for start-ups and SMEs who need capital and investors to fuel innovation, create jobs and compete on the global stage. SMEs are the backbone of Canada's economy representing approximately 50% of GDP an employing 55% of all the jobs in Ontario alone," said Debra Chanda, President of Launch 120, and newly appointed Advisor at NCFA Canada. In international jurisdictions such as Australia, where equity crowdfunding has been legally permitted for over 5 years, leading portal ASSOB (Australian Small Scale Offerings Board) has raised over $130 million in seed and growth capital for over 130 companies of which 83% of them are still operating without a single incident of fraud. Crowdfunding was in the spot light in 2013 with the number of Canadian portals more than tripling from 17 in 2012 to over 70 in March 2014, according to the NCFA Canada Crowdfunding Directory. "We've enjoyed high growth last year and the demand for portal software continues to ramp up," said Brock Murray, CEO and Co-founder of Katipult, Canada's leading crowdfunding portal software provider. 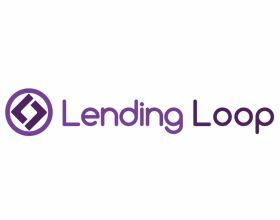 Craig Asano enthused, "We're thrilled that there is such wide support to adopt equity crowdfunding exemptions in various provinces across Canada. The proposed regulations will benefit all Canadians and the entire capital raising eco-system by working to fill the 'funding gap' and pave the way for Canada to support a thriving entrepreneurial culture to compete with other international regions that accelerate growth and provide supportive funding environments." 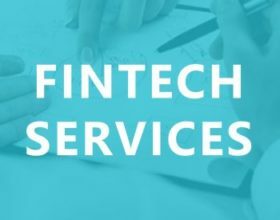 "We're hopeful that over time, data collected from crowdfunding transactions will enable regulators to 'right size' policy and edge closer to a harmonized set of rules and also lay the foundation for a second market. Education and due diligence will be of the highest importance to ensure early stage crowdfunding markets formed around 'The Start-up Exemption' and the 'Crowdfunding Exemption' proposals are efficient, sustainable and safe for investors," said Myles Harding, President of Inline Reference Check, a leading background and due diligence company. 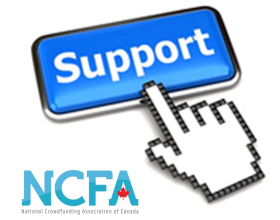 The National Crowdfunding Association of Canada (NCFA Canada) is Canada's Crowdfunding Advocate. Newly formed, dynamic and inclusive, the NCFA Canada works closely with industry groups, government, academia, other business associations and affiliates to create a strong and vibrant crowdfunding industry and voice across Canada. 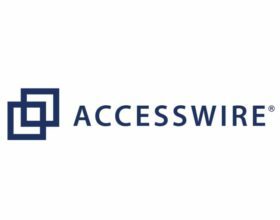 Membership is comprised of a network of professional individuals, companies and non-profit associations (students are most welcome) interested in crowdfunding markets in Canada and beyond. The National Crowdfunding Association of Canada is a networking and solutions-based organization to provide advocacy, education, support and leadership to Canadian crowdfunding communities. For more information please visit ncfacanada.org.